The New Agrarian Center creates and promotes a more healthy, vibrant, and equitable local foods system. Our vision is to build a future where holistic land management and equitable and community-led distribution chains of whole food drives an abundance of health and engagement – and where surplus can be returned to the landscape to support the diversity on which our society depends. We see a future where networks of learning lead the young and old to reengage with their food, and where that food acts as a bridge that unites us to solve the complex problems of health and economic disparity. We strive to make these ideals a reality, one harvest at a time. In practice, we promote sustainable farming by supporting farmers who employ organic growing techniques. We also take the prospect of our diet’s carbon footprint seriously, and we strive to ensure the mileage on your produce is as small as possible. The food in your basket in tasty because rich soils produce a restorative yield of fruits and vegetables all year long – and long into the future. In 2005, a ragged band of agricultural outlaws conspired against the imperial food system to form the first Community Supported Agriculture outpost in low-income Cleveland. Two more rebel “fresh stops” followed in 2006. Soon after, Cuyahoga and Lorain counties became rebel strongholds, with their 15 Fresh Stops providing more than a million pounds of fresh, locally- and naturally-grown produce to urban residents sympathetic to the alliance. The rebel cause continues to deliver. In the past twelve years, our staff, farmers, and volunteers have delivered more than 140,000 share baskets to our members. Our mission proves durable and contagious. Since 2007, we’ve strengthened the regional network of farmers and supported the rise of than 40 for-profit and not-for-profit CSA programs locally and around the world, several of which were launched by our former volunteers. Still, the legacy of the imperial food system remains. More than 400,000 people living in Cuyahoga and Lorain counties reside in “food deserts” where residents have few options other than convenience stores and fast-food chains for their dietary needs. The epidemic of malnutrition takes its toll on children in particular. In 1990, there were no documented cases of type-2 diabetes among children. Today, half of all children born to low-income families are expected to be diagnosed in their lifetimes with this completely preventable disease. From every $1.00 spent at a typical grocery store, only five to fifteen cents actually is paid to farmers, according to the USDA. City Fresh pays eighty-one cents of every shareholder dollar directly to farmers in the alliance. 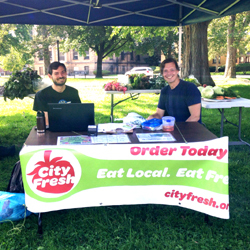 Each year, City Fresh generates more than $150,000 of income for local farmers. These dollars stay in our region and bolster the health and strength of our communities, our economy, and our alliance, of course. What's this about a New Agrarian Center (NAC)? The New Agrarian Center is the name of our not-for-profit organization, City Fresh and the George Jones Farm & Nature Preserve are our two core programs (think brands for a corporate analogy). Since 2001, the NAC has been dedicated to building a healthy, sustainable and socially-just local food system in Northeast Ohio. We have impacted tens of thousands of people through our on-farm education programs and distribution of nutritious, locally-grown produce to low-income neighborhoods in the region. Support Food Justice in Northeast Ohio! Your purchases can make a difference. 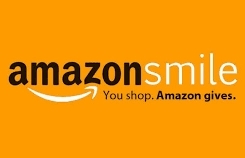 Amazon donates to New Agrarian Center when you shop!